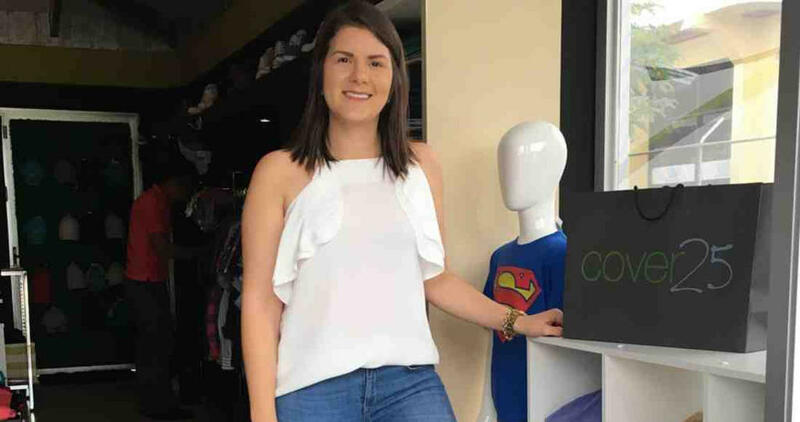 Karen Barrantes decided that her store, Cover 25, would not profit from Black Friday. Q COSTA RICA by Roberto Acuña Ávalos, Vozdeguanacaste – On Friday morning, Nov. 25, news stations broadcast live reports of the destruction left by Hurricane Otto, both in Guanacaste and across the country. After seeing the news, Karen Barrantes decided that her store, Cover 25, would not profit from Black Friday. For days, the men’s clothing store in Nicoya had been promoting discounts on all its merchandise. But instead of cashing in on the biggest shopping day of the year, Barrantes decided to donate everything to the hurricane’s victims. “I was deeply affected by all of the news, and I didn’t think it was right to ask people to spend money when we could be donating to the victims,” she said. The 28-year-old storekeeper donated nearly 110 kilograms of clothing, including two dozen pairs of kids’ shoes, 40 pairs of jeans, 25 pairs of shorts, 40 shirts, 60 T-shirts, 30 pairs of adult shoes and lots of underwear. Barrantes made the announcement on the store’s Facebook page, and volunteers from the Recaredo Briceño Park picked up the items to deliver them with the Red Cross. “I was going to use the profits from Black Friday to buy merchandise for December, but I’ve always said, ‘God provides for everyone,’” Barrantes said. For now, Barrantes hopes her act of generosity will inspire others to come to the aid of the hundreds of victims of Hurricane Otto. According to the latest Red Cross report on Nov. 27, shelters in Bagaces have assisted 537 people. Ten people were killed in Costa Rica as Otto crossed the country late last week. Article first appeared at Vozdeguanacaste.com, republished with permission.